Because Good Oral Health Promotes Overall Well Being and Self Confidence. A Friendly, Professional Team That Truly Cares. A Convenient Southwest Portland, Oregon Office Location. Because Everyone Deserves a Healthy Smile for Life! Maintain and Enhance the Natural Beauty of Your Smile. Specialized Periodontal Care for Each Patient’s Unique Needs. Welcome to Portland Periodontics, the periodontal practice of Dr. David A. Goldwyn, DDS, a Periodontist in Portland OR. The entire team at Portland Periodontics is excited to partner with you to provide you with a healthy smile in a relaxed and comfortable atmosphere. Portland Periodontics addresses a broad scope of periodontal needs, including gum disease treatment, gum grafts, bone grafting, extractions, scaling and root planing, the placement and care of dental implants, and cosmetic periodontal services.If you are looking for the best dental implants Portland, OR has to offer, look no further. Dr. Goldwyn and his staff work individually with each patient to offer education and advice regarding treatment options. Together, patients and Dr. Goldwyn determine the best periodontal care for each person’s unique needs. The friendly, professional staff at Portland Periodontics work closely with general dentists in the Portland area to provide patients with the best in periodontal care. Balancing the desires of the patient and a conservative approach to treatment allows Dr. Goldwyn to help patients achieve the best possible functional and aesthetic results when it comes to their smiles. 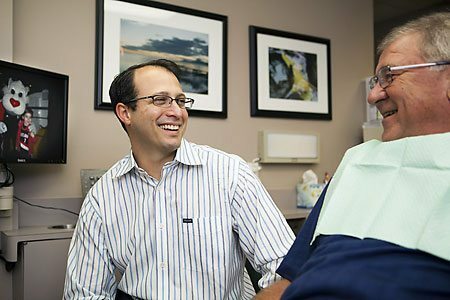 Dr. Goldwyn and his staff use their extensive training and experience to treat a broad scope of periodontal needs, including dental implants, bone grafting, extractions, scaling and root planing, gum grafts, periodontal plastic surgery and gum disease treatment. 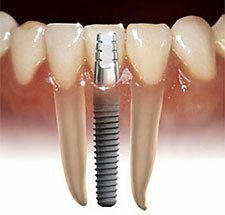 Dr. Goldwyn specializes in the placement and care of dental implants in Portland, incorporating his advanced training and over eleven years of experience with dental implants, to achieve excellent results. Regardless of the periodontal care you may need, Dr. Goldwyn and his team look forward to establishing a solid relationship with you, emphasizing your health, comfort and care.